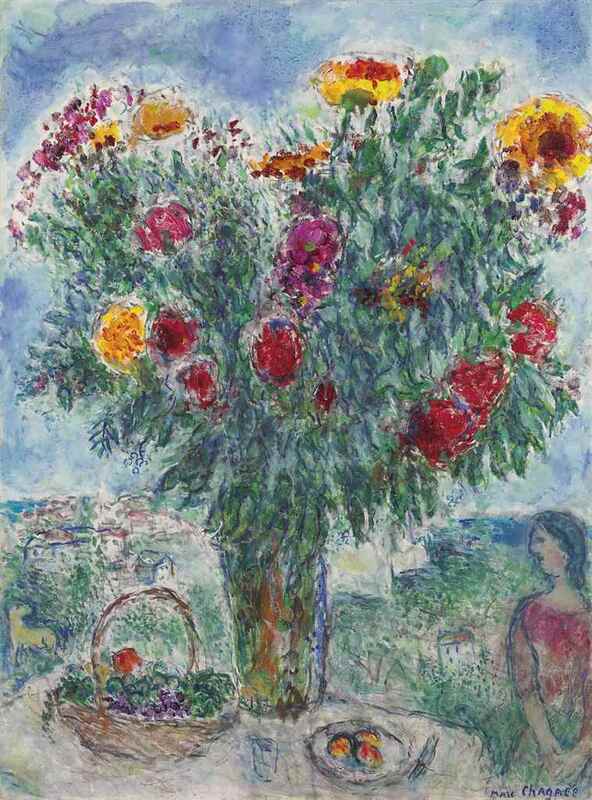 For more biographical information see part 1, and for earlier works see parts 1-26 also. 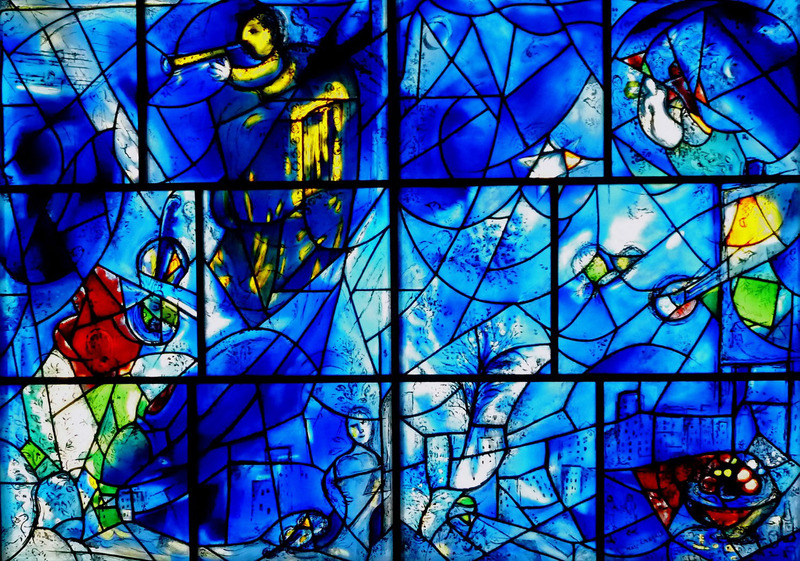 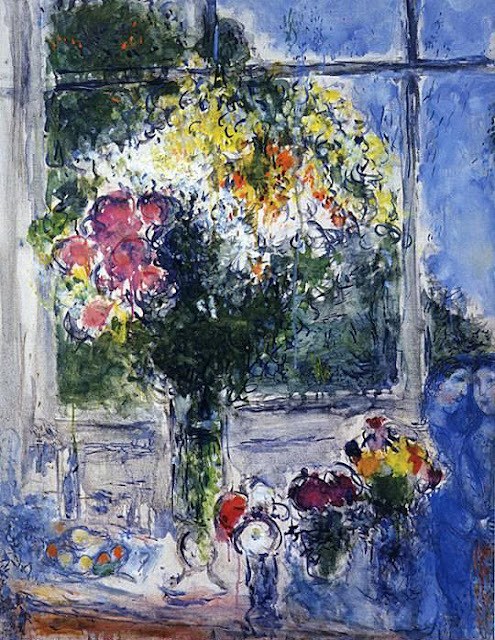 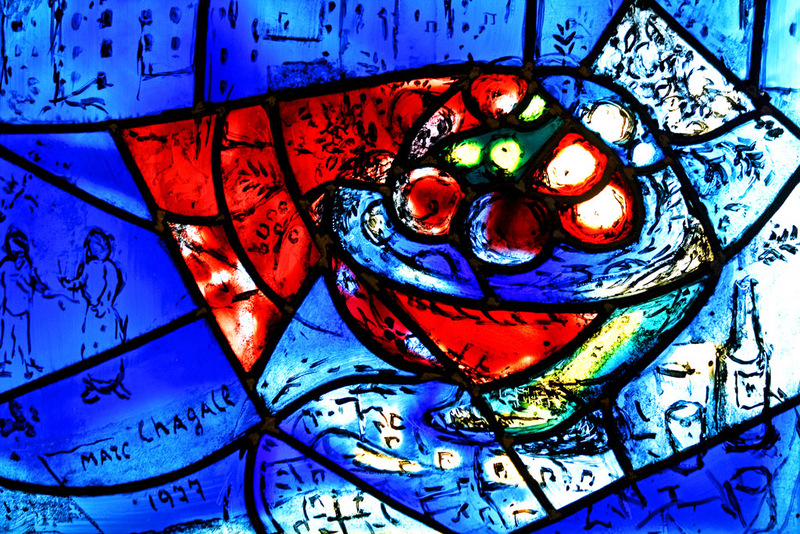 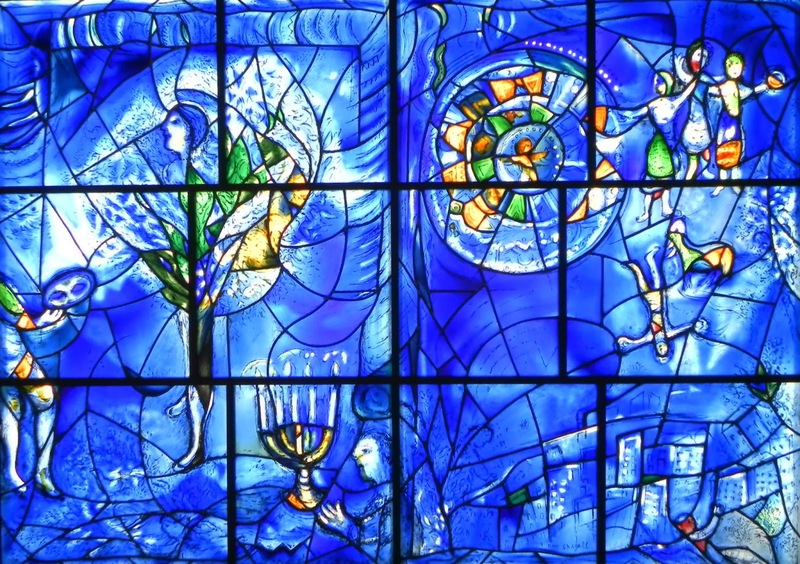 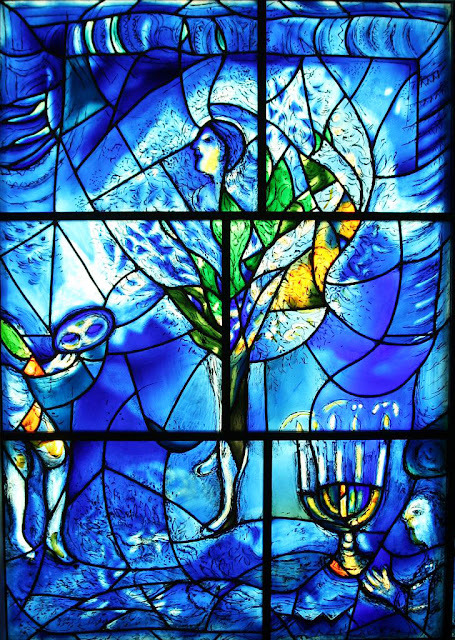 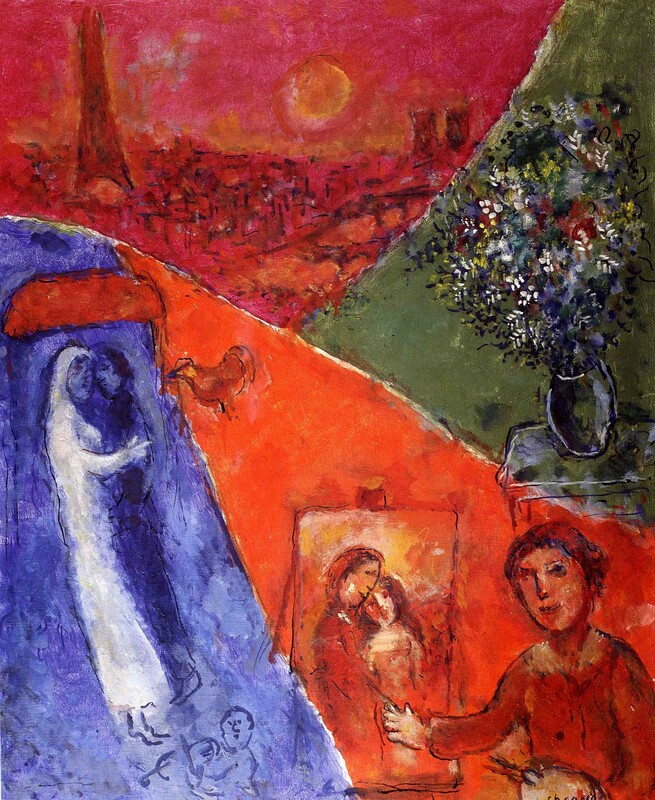 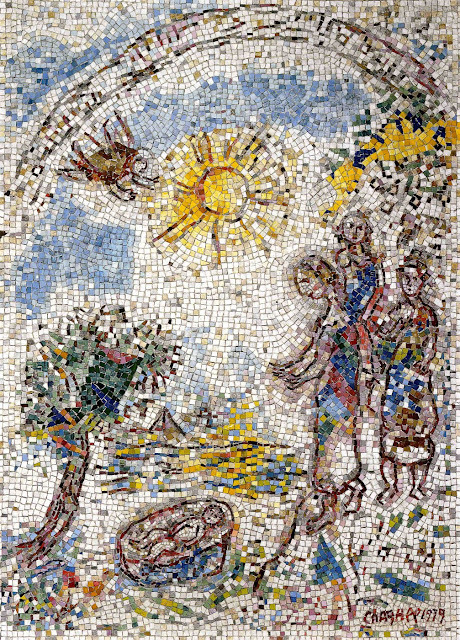 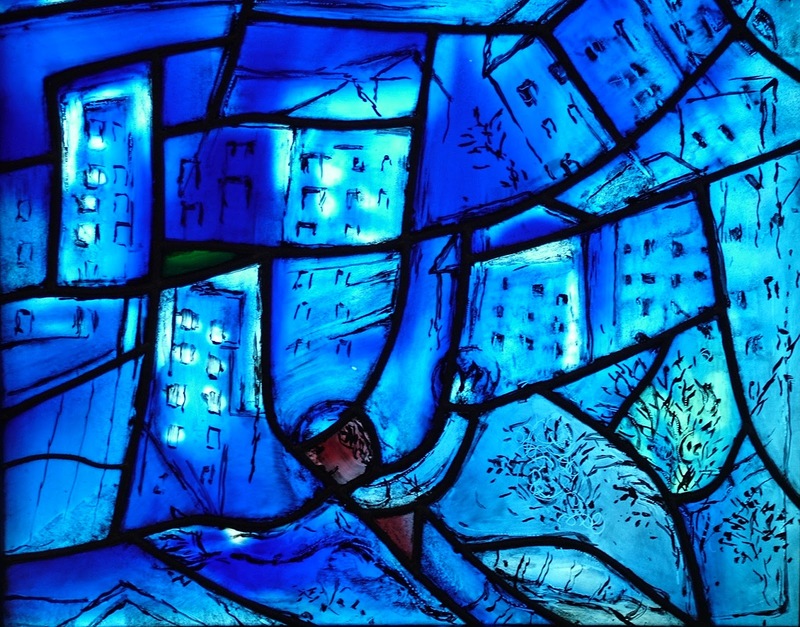 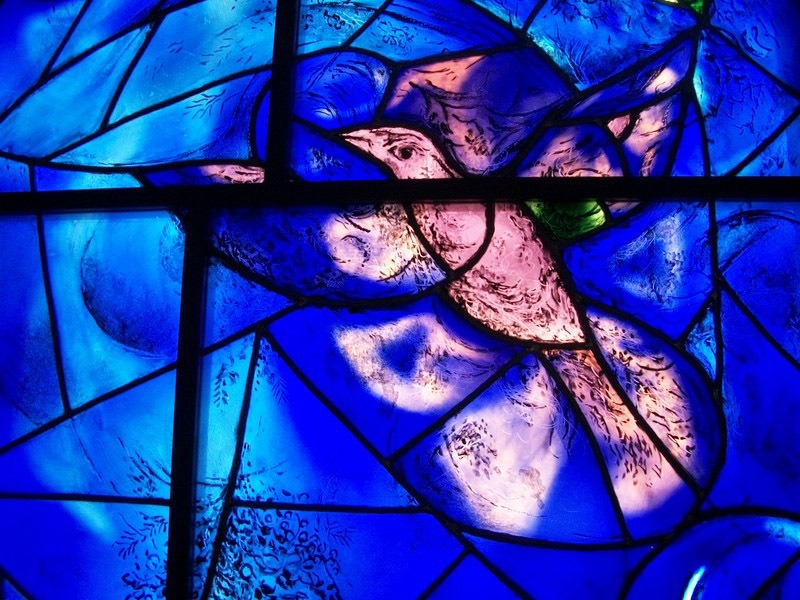 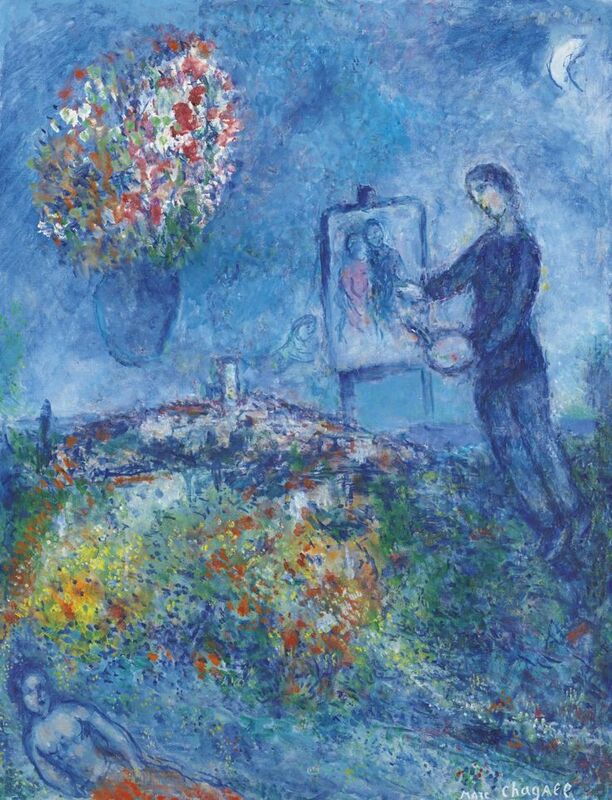 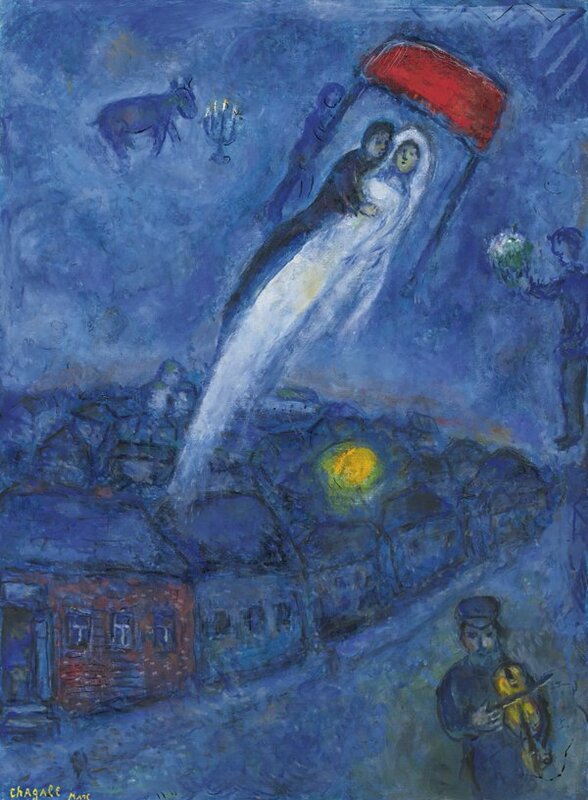 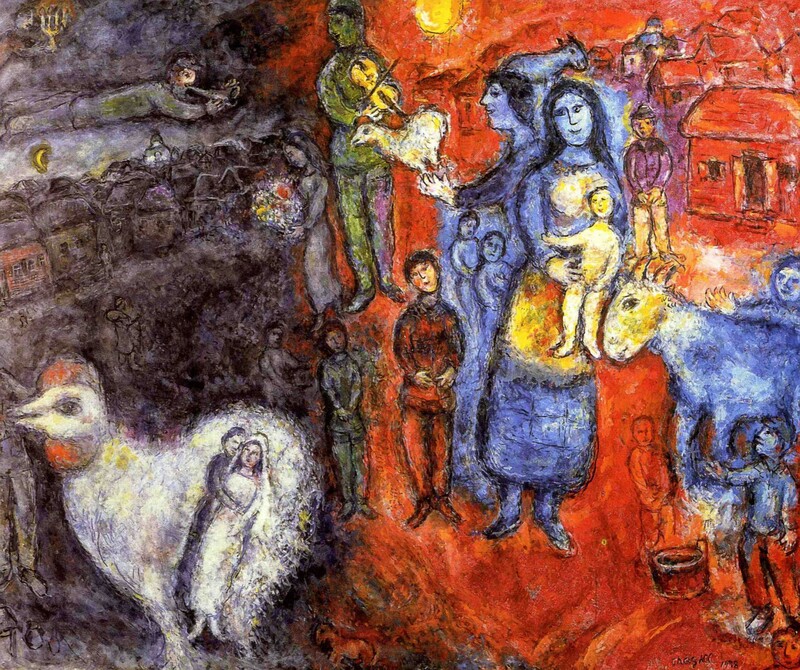 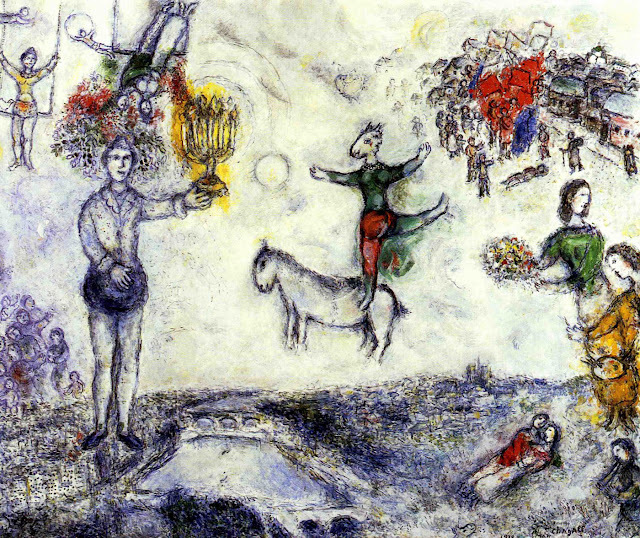 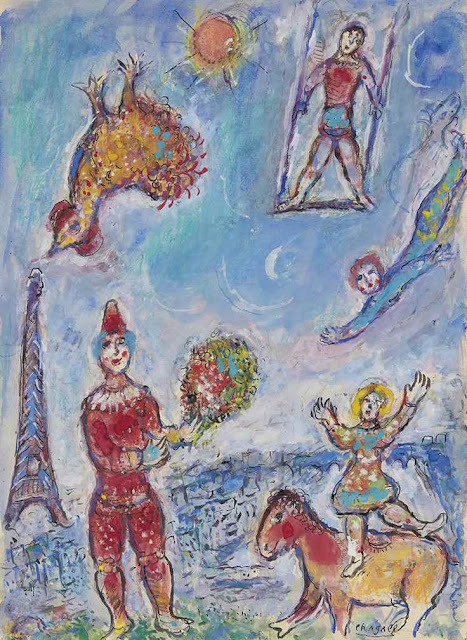 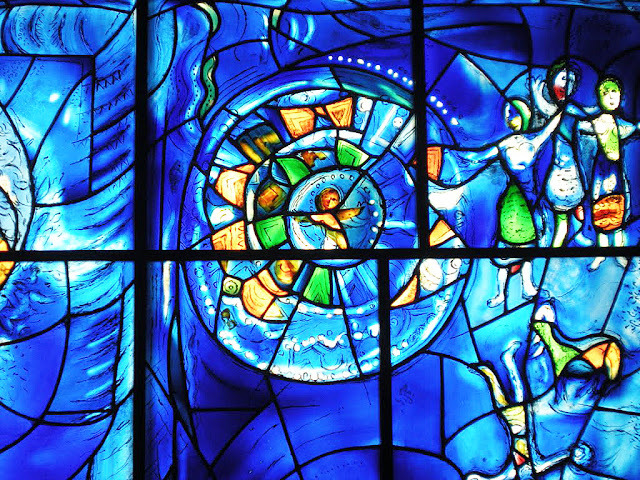 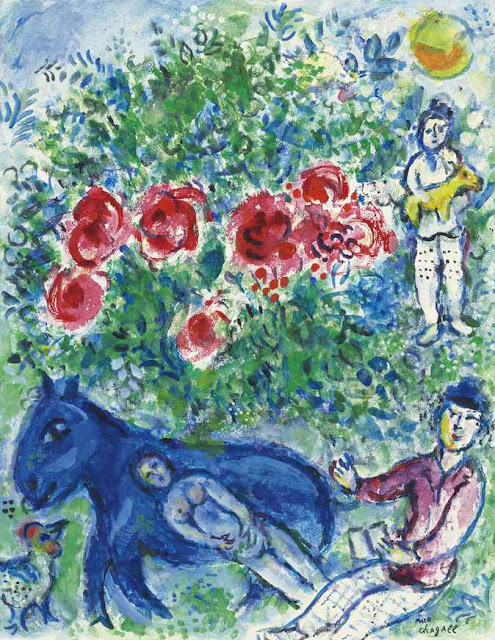 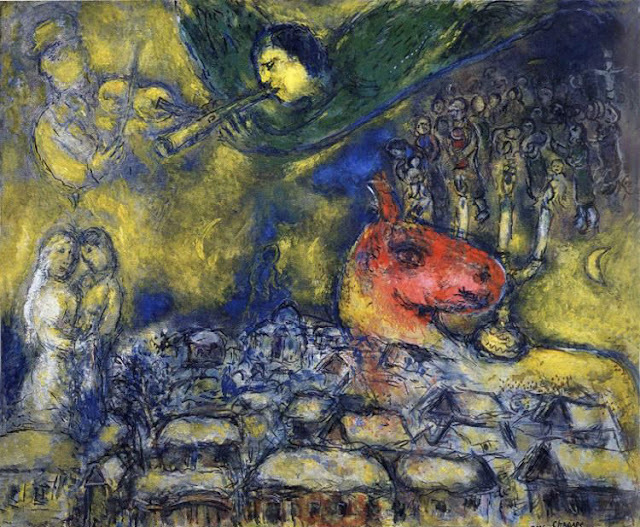 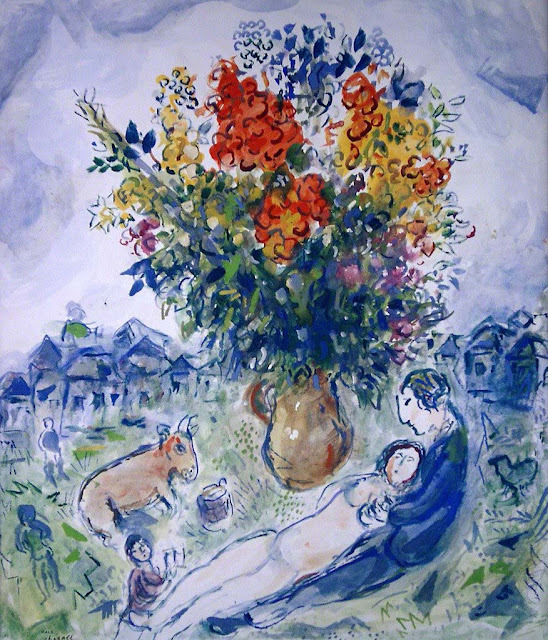 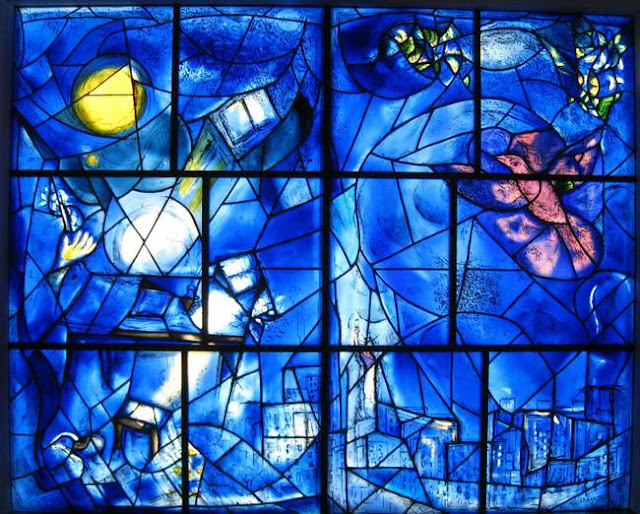 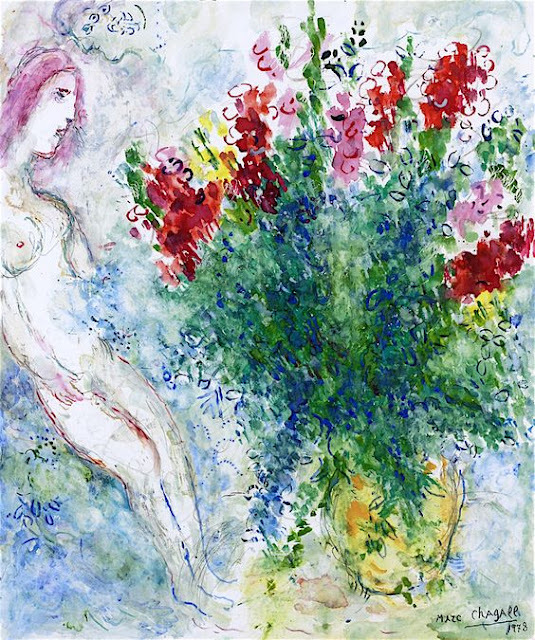 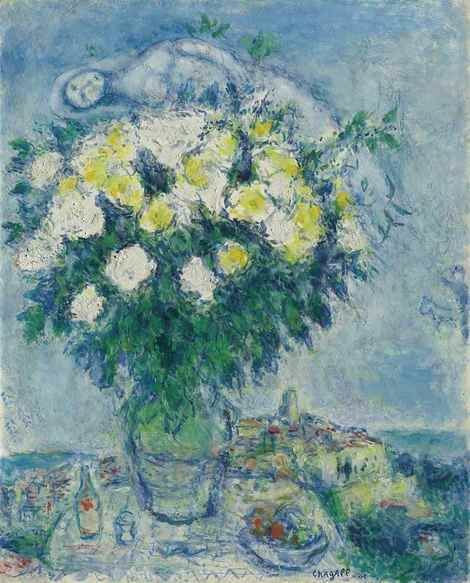 A gift of Marc Chagall, the City of Chicago, and the Auxiliary Board of The Art Institute of Chicago, commemorating the American Bicentennial in memory of Mayor Richard J. Daley, 1977. 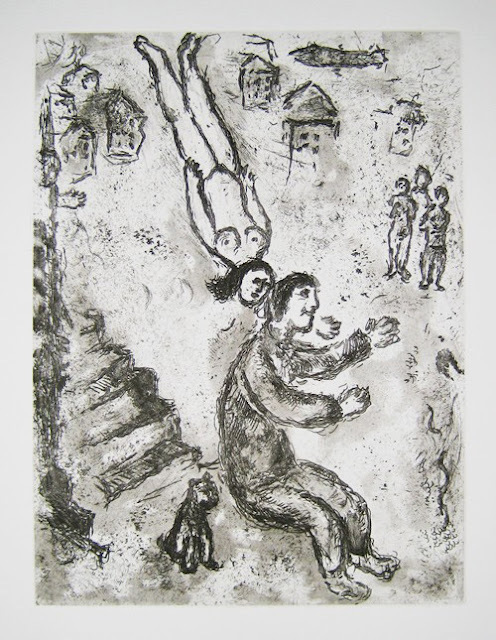 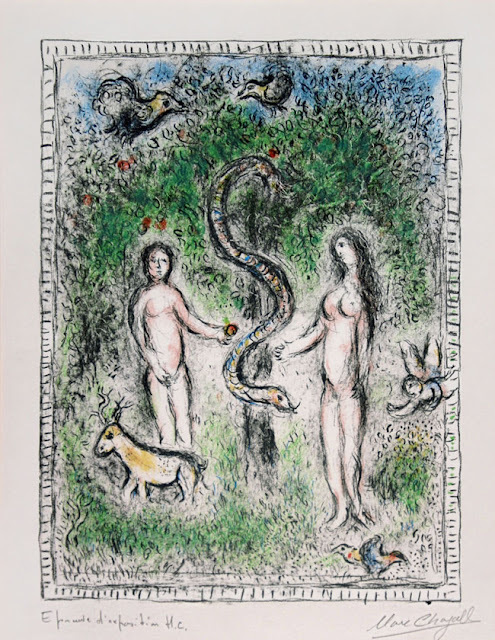 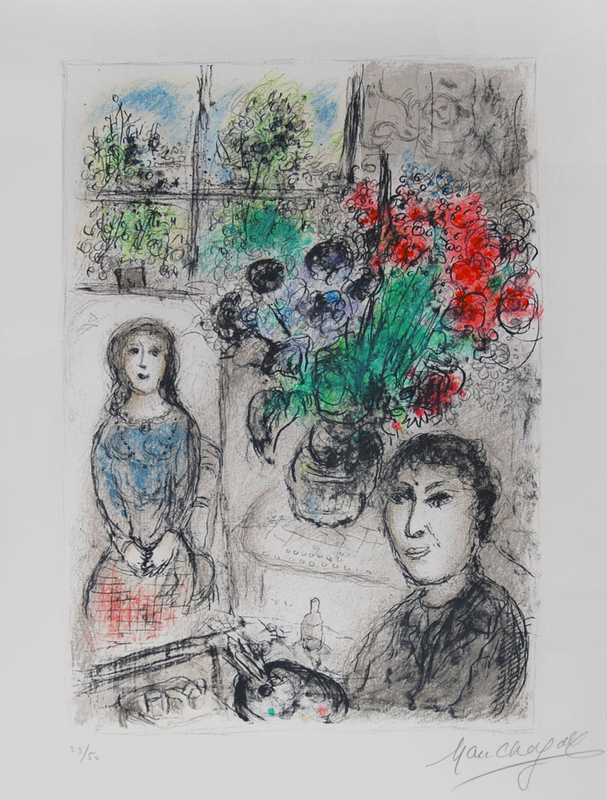 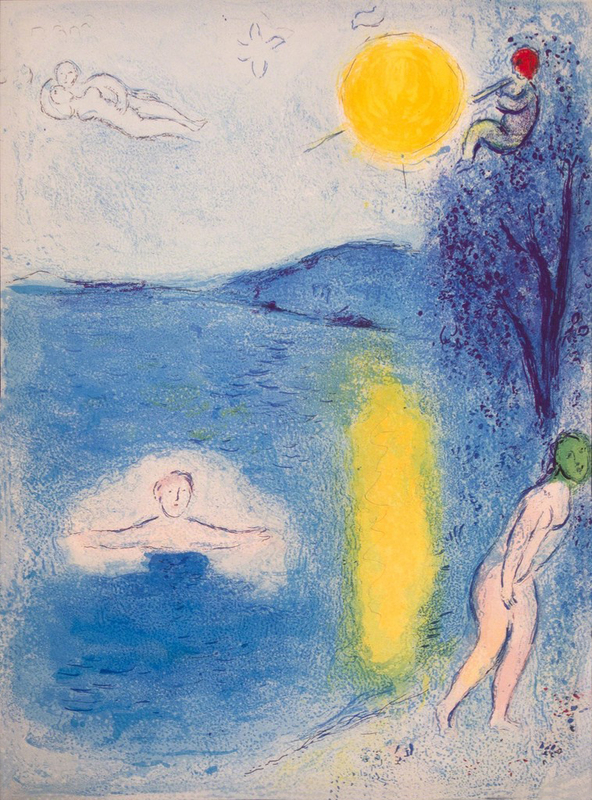 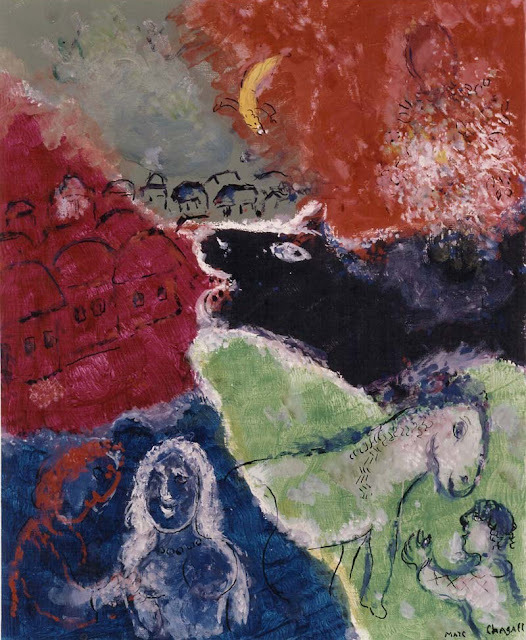 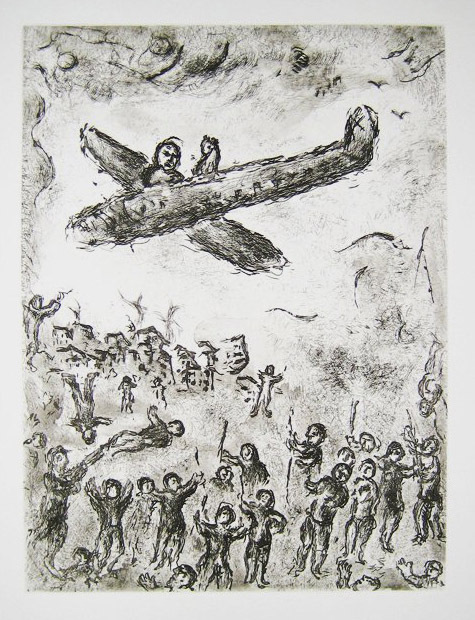 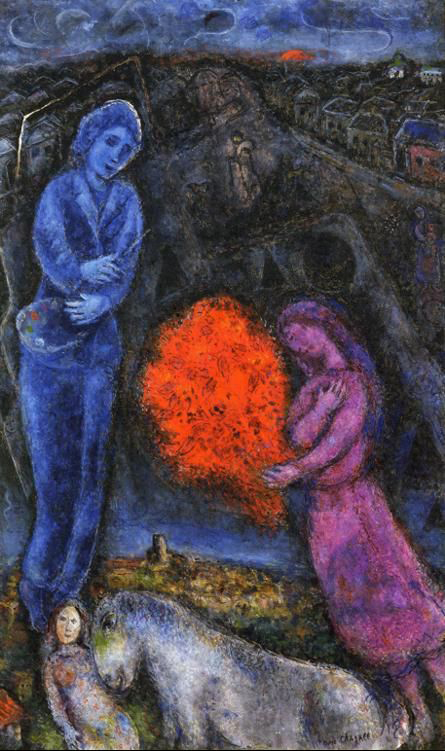 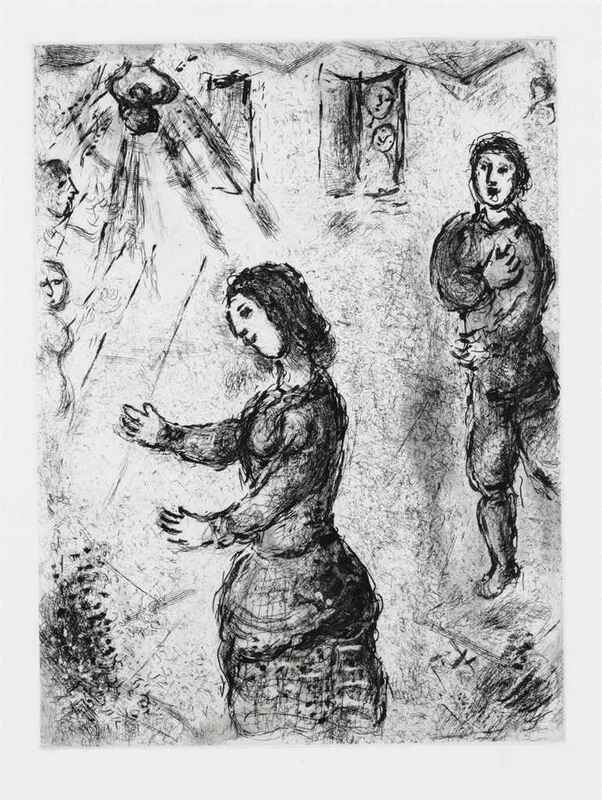 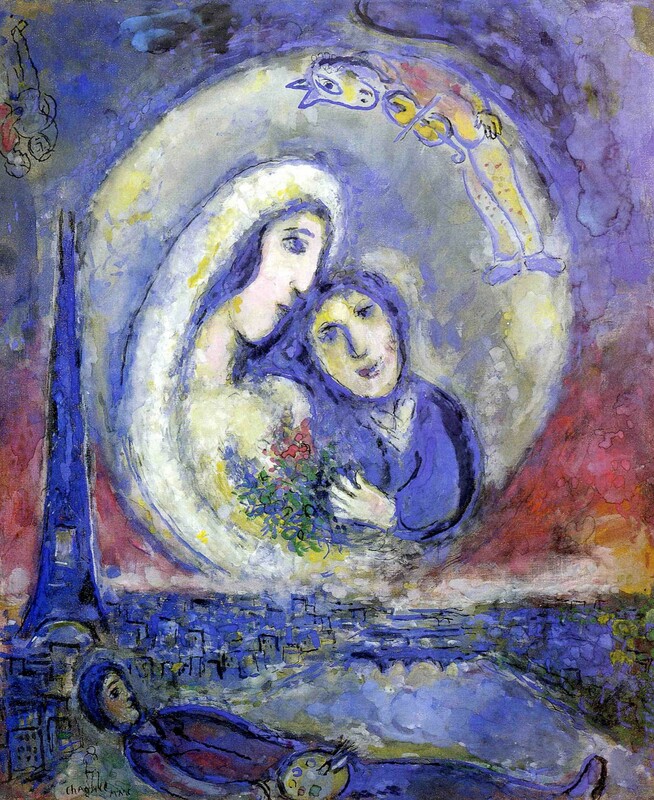 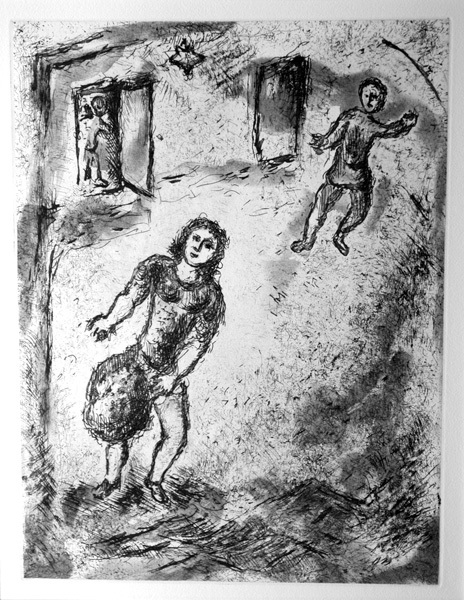 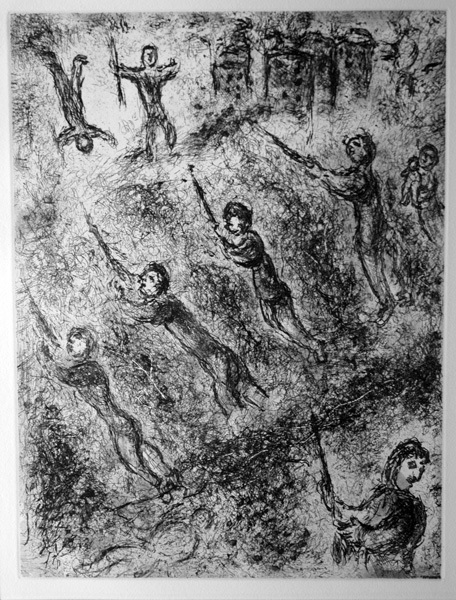 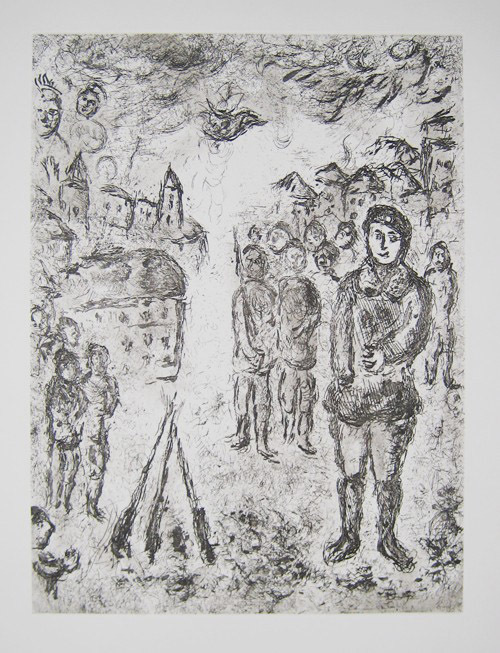 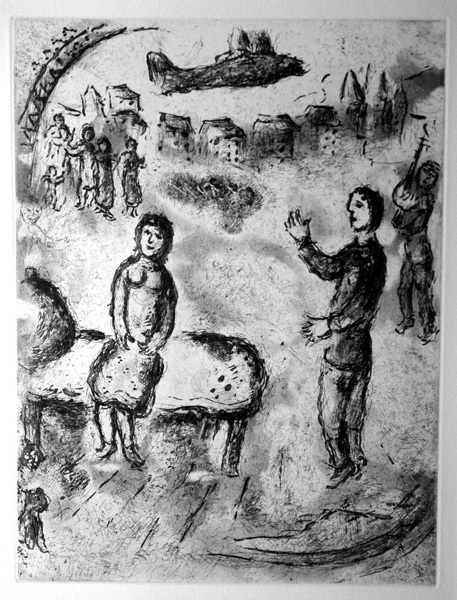 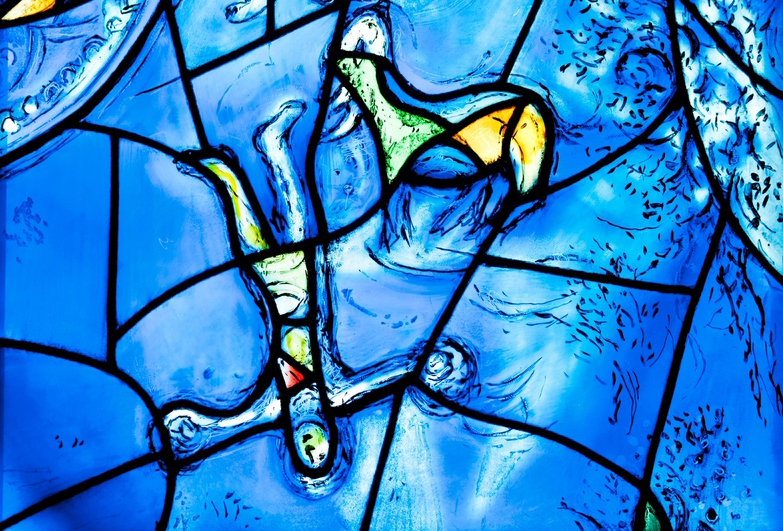 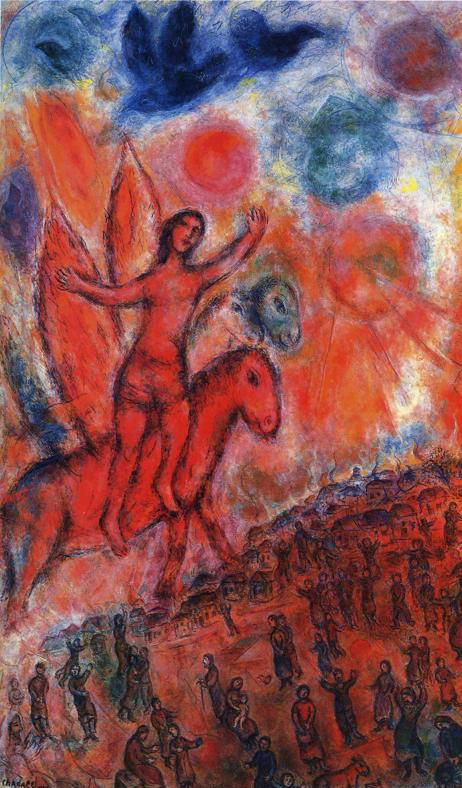 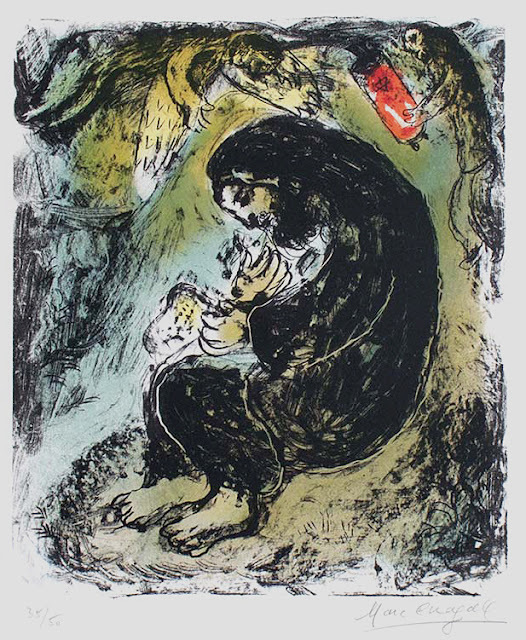 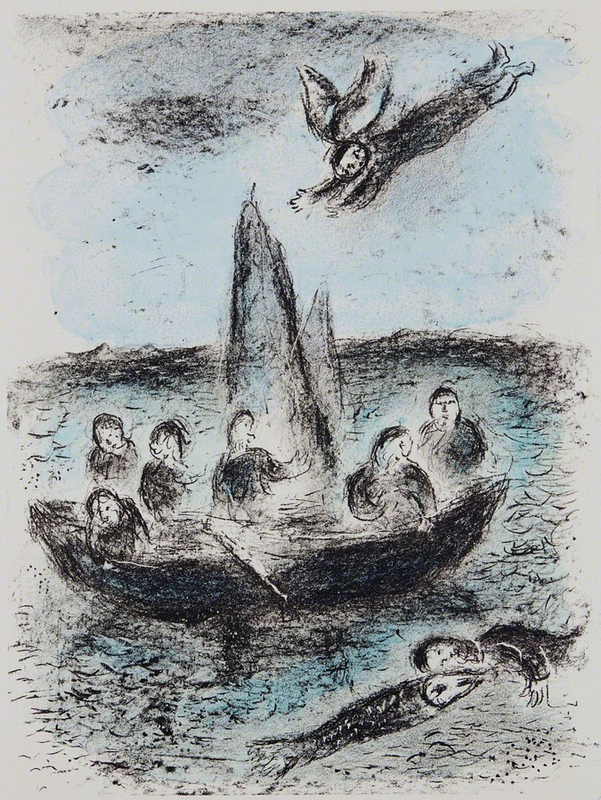 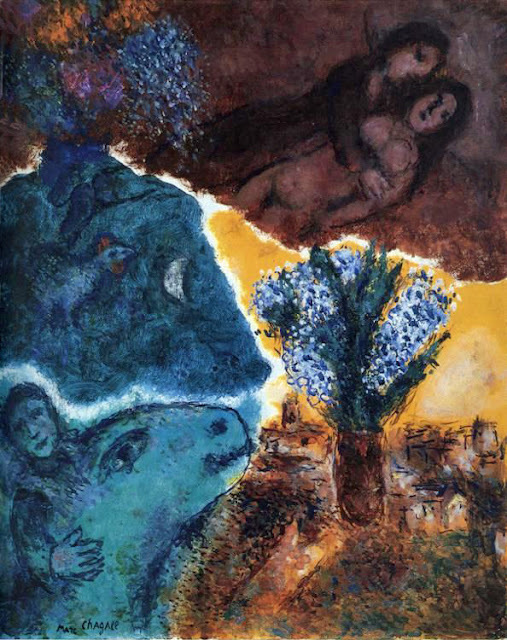 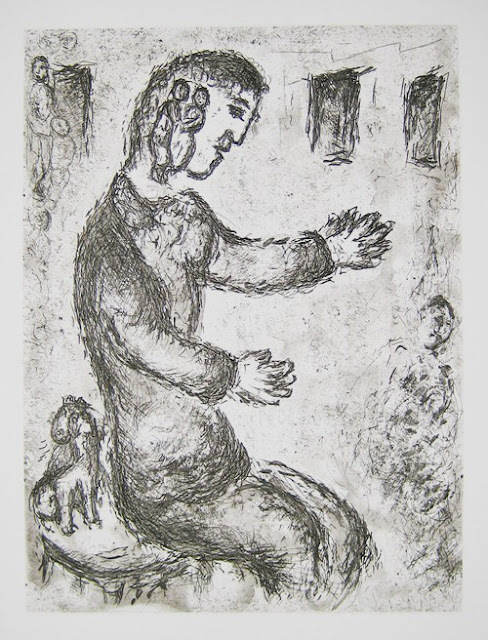 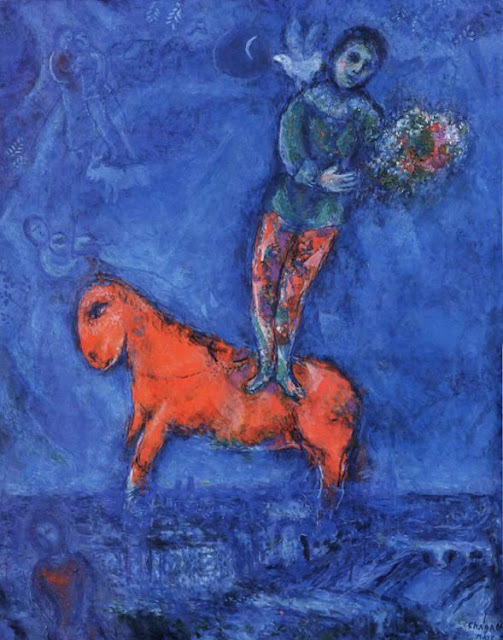 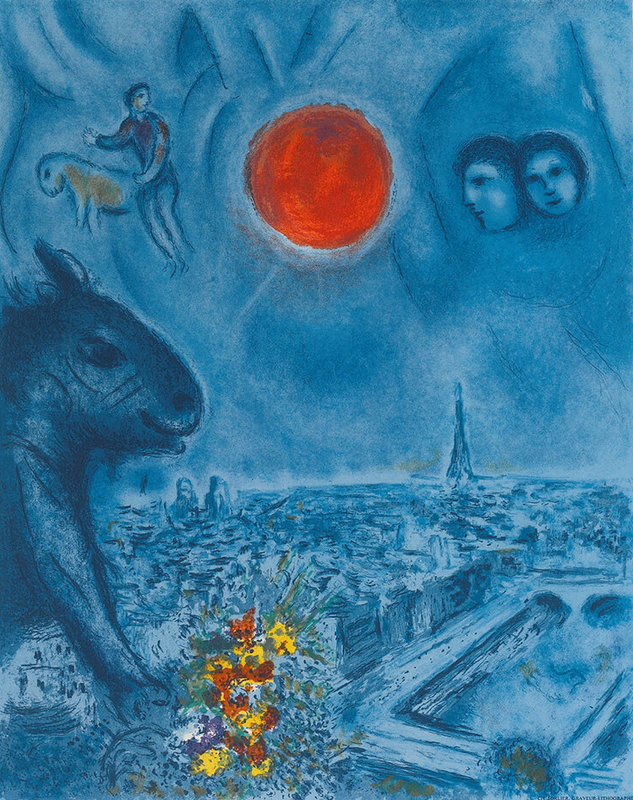 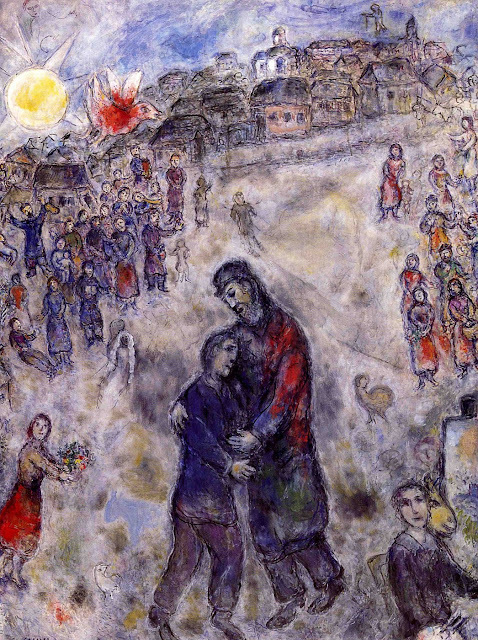 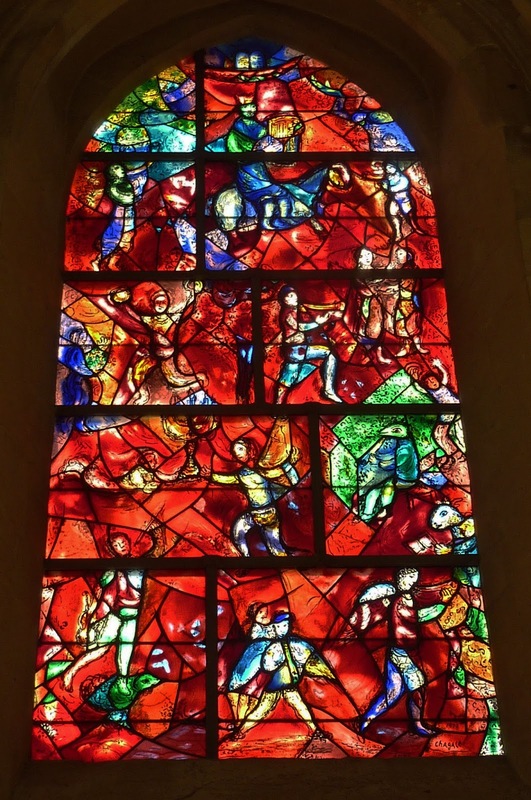 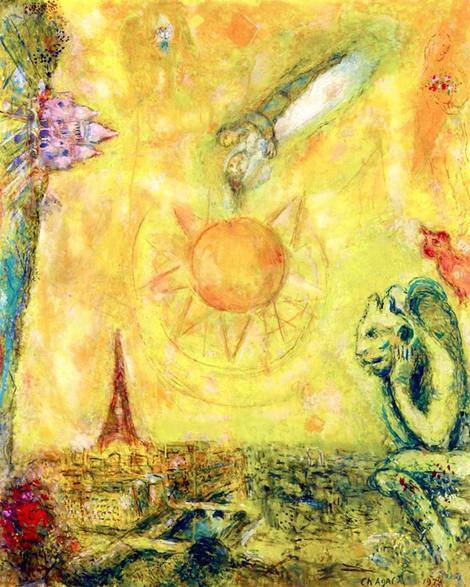 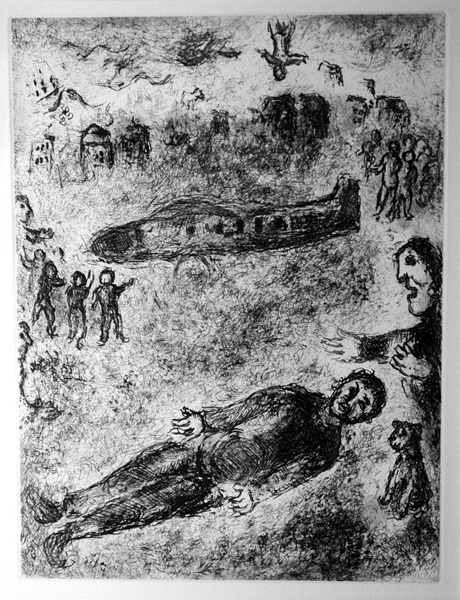 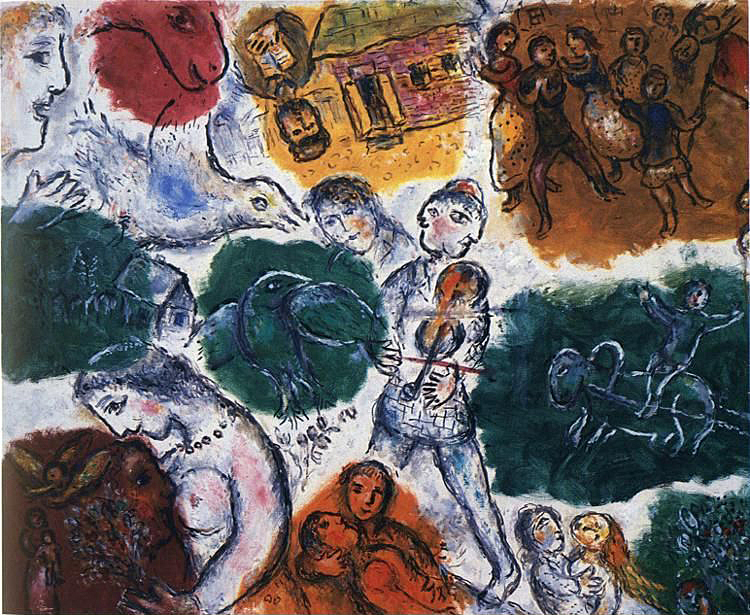 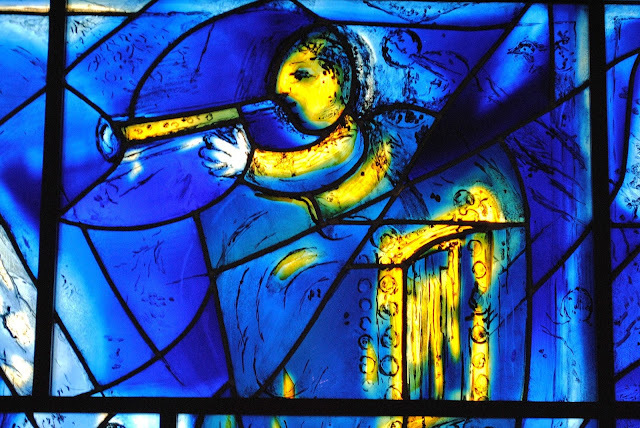 The etchings for Et sur la terre were executed by Chagall in 1977. 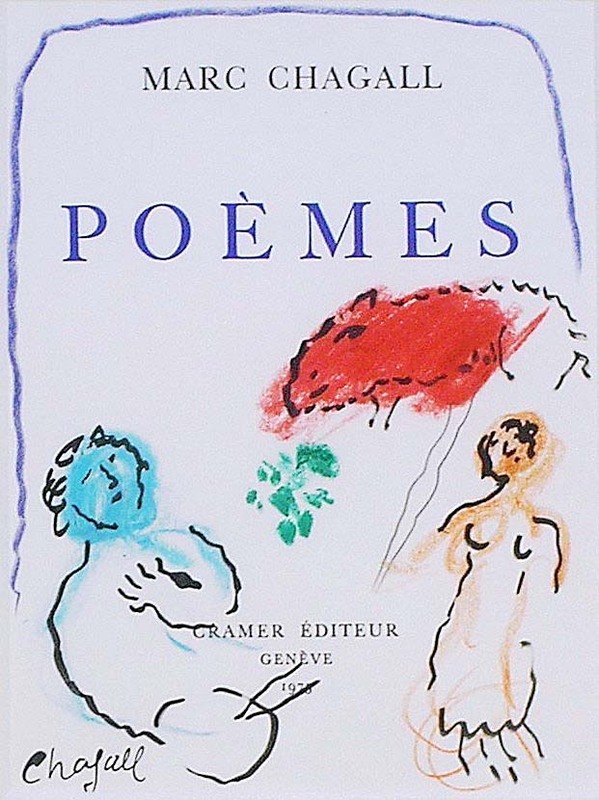 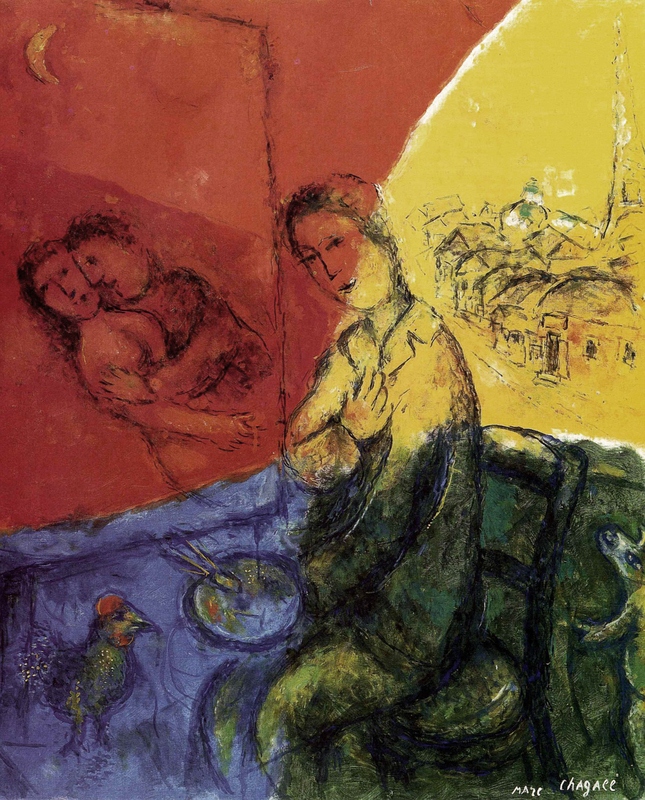 Et sur la terre was issued in an edition of 205 portfolios printed on velin d'Rives, each of which was signed on the colophon by Chagall and numbered. 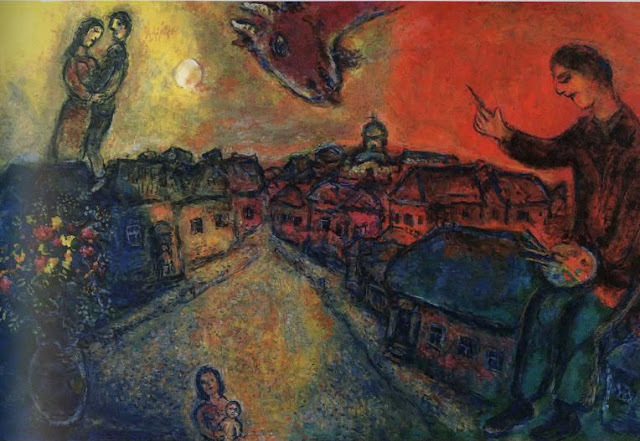 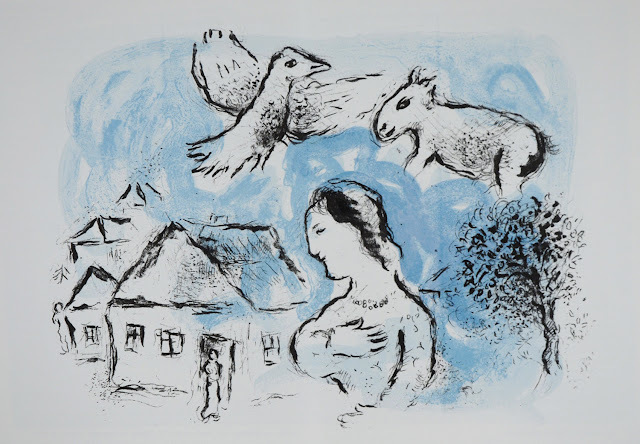 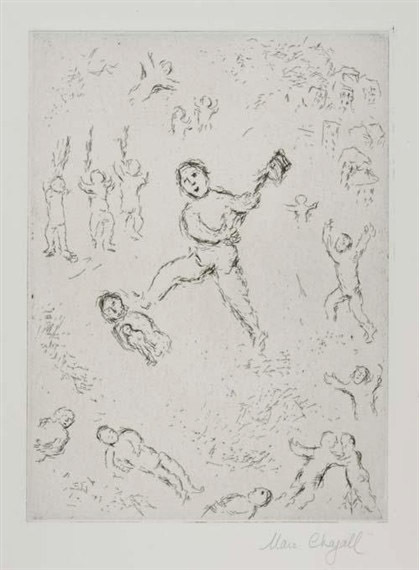 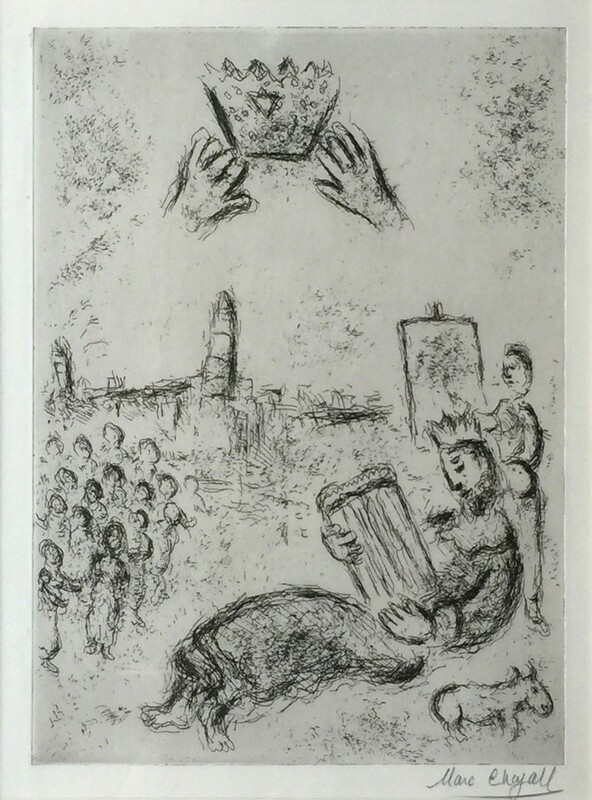 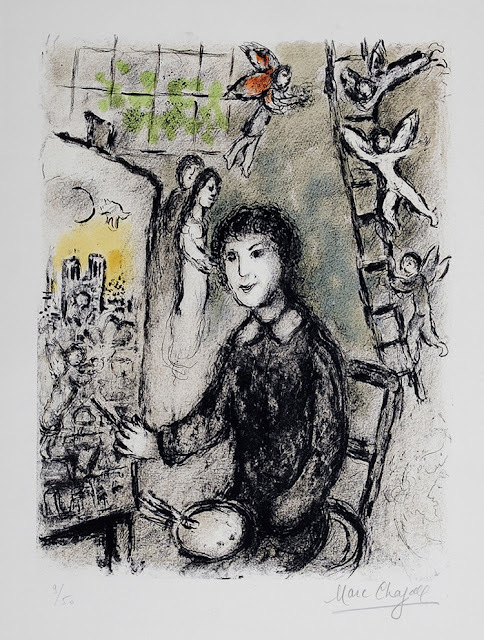 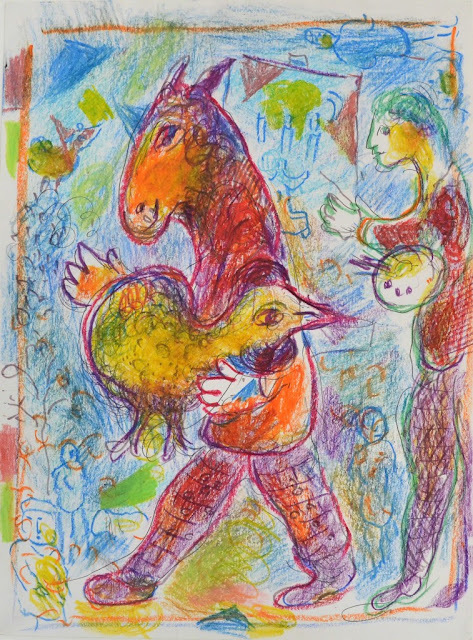 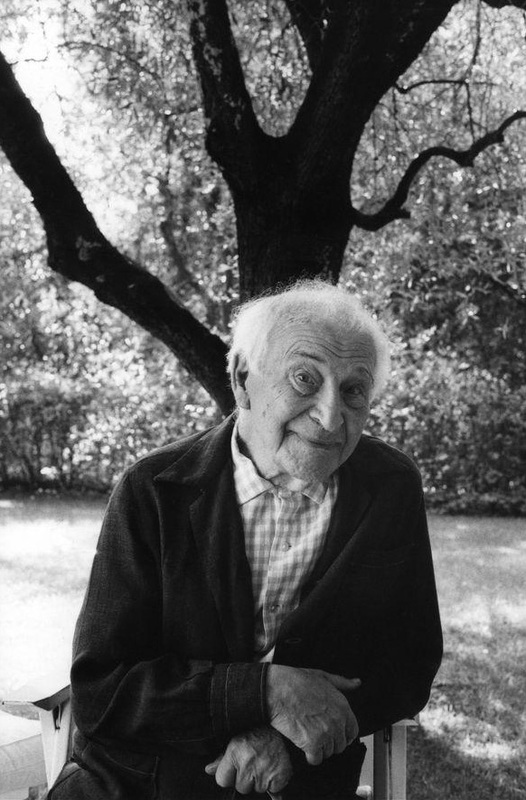 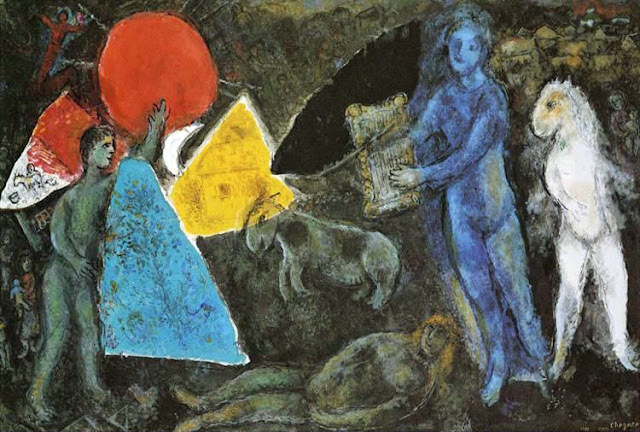 The first 25 portfolios contained an additional impression of the frontispiece signed and numbered by Chagall.